Let’s give Michael props for coming up with the title of this week’s episode. I had to think about it for a bit. I think he meant it as a tribute to my 9-volt Golden Power battery which faithfully powered the keypad for my garage door opener for almost 11 years. 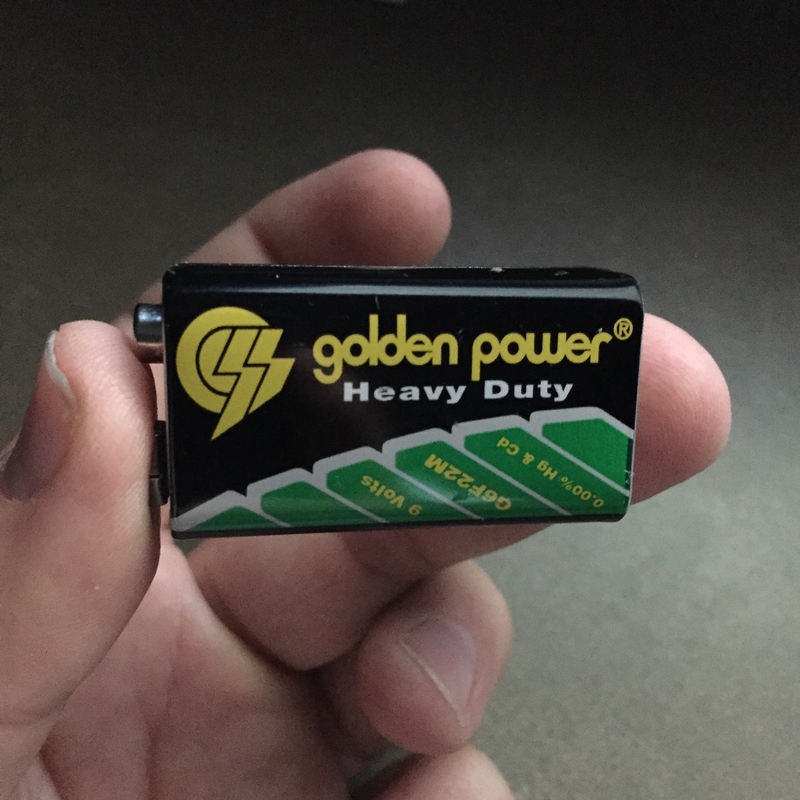 Yes, Golden Power. Doesn’t that just scream “made in China”? Take THAT, Energizer. So where did we go this week? Here are your show notes. How to clear snow off your car with Lil John. It only costs $14,000. I had an opportunity to drop the name Gogol Bordello. That gives us an excuse to do this. You kids and your damn music. You’re missing out of nature! Don’t blame us if you’re attacked by a tiger from behind. Ever wonder what MP3s strip out of a digital file to make it so small? Here’s the answer. I could have used a Tesla battery in my garage door opener. Meet Siri’s younger, smarter (creepier?) sister. The damn podcast is actually bringing in some money thanks to our army of dedicated fans. Okay, it’s a small army–but you are dedicated. Love you! Our Miracle Travel Mug of Traveling sure gets around. We have a complaint. Actually, the complaint is against Michael and his hideous technological biases. Unlimited storage is ruining music. Here’s why. Would you pay extra for a “premium” memory card? SPOILER: No. No more CDs at Starbucks. Whatever will soccer moms do for their music now? Space. Weed. Tesla. Sesame Street. Wait, wut? This week’s podcast is particularly awesome!